With five LPGA Tour wins, two majors and now the No. 1 ranking under her belt, So Yeon Ryu is playing the best golf of her career—and is ready to realize even bigger dreams. 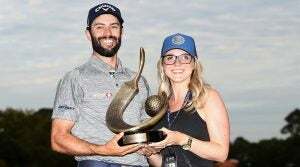 There's hope for Tour pros looking for love on the road: Just ask Adam Hadwin. 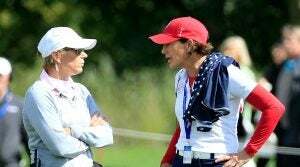 Solheim Cup captains Juli Inkster and Annika Sorenstam are ready to move past the controversy from 2015, when Suzann Pettersen refused to concede an 18-inch putt during a match. The U.S. is the defending champ, and massive crowds are expected when the event begins in Des Moines, Iowa. 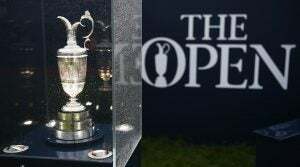 The winner of the British Open claims the claret jug, but that's not all. They also win a host of other special goods. While Grace's 62 received plenty of praise, Johnny Miller's coverage of it also got a fair bit of Twitter traction Saturday at the Open. 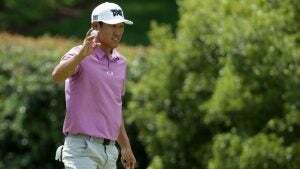 A tree was the last place James Hahn wanted to look for a birdie on Friday at the British Open. Garcia picked a fight with a gorse bush in frustration, and ended up injuring his shoulder. O.J. 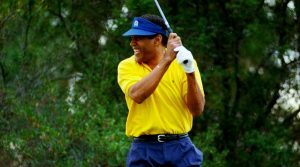 Simpson, the former NFL star most famous for being acquitted of a double murder in 1994, can't wait to get back on the golf course. Sergio Garcia and Ariya Jutanugarn were honored with best golfer awards at the ESPYs last night, sports' biggest red carpet event. "I've been on cloud nine and I've been trying to come down from it just so I can focus on this week. 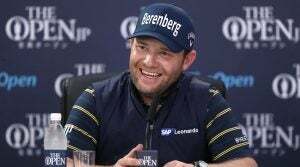 It's been incredible," Kang said during a Tuesday press conference.